GUIDE & ANGEL CARDS: We all come into this world with Guides and Angels willing to support us on our most divine path. The 7 Archangels who chose to come through for this work are willing allies on your own personal journey. If and when an Angel card is played it may be time to connect into the frequency of this divine being to receive even more guidance in understanding your journey ahead. The Angel cards were drawn with a sword at the top of the card representing one of the seven sacred swords these messengers carry, and each have their name scrolled along the left side margin of the card. 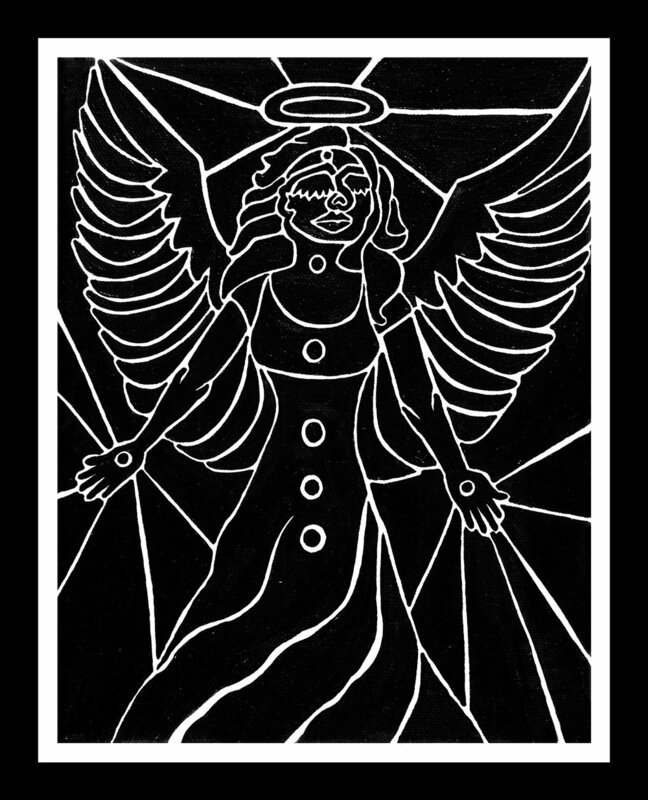 These cards each display a being with wings and a word representing their divine message within the body of the card. These cards can be played in a YIN or YANG position meaning either; this is information you know and need help remembering (YIN), or this is help and guidance manifesting into your life (YANG). 7 SHADOW, Chakra Cards: We can begin to identify our shadow side by understanding the things that displease us most in others. The displeasure we feel in another usually points towards a denial of those things we chose not to acknowledge in ourselves. The shadow sides of our chakras are very hard to recognize in ourselves, but are easiest to see when we find faults in others. Clue into how you judge and react to others, for this is a clue into your own shadow side. 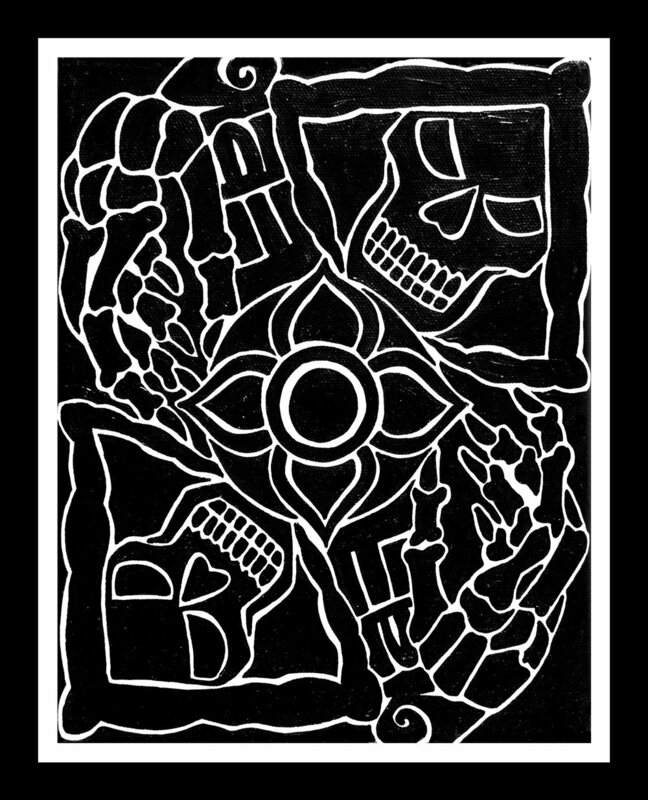 READING SHADOW CARDS: The 7 Shadow cards are all drawn using the same imagery of Death in two out of four corners, and contains the chakra symbol within the center of the card. The Shadow element will also be written out under deaths hands, spanning from one corner of the card to the opposite corner. 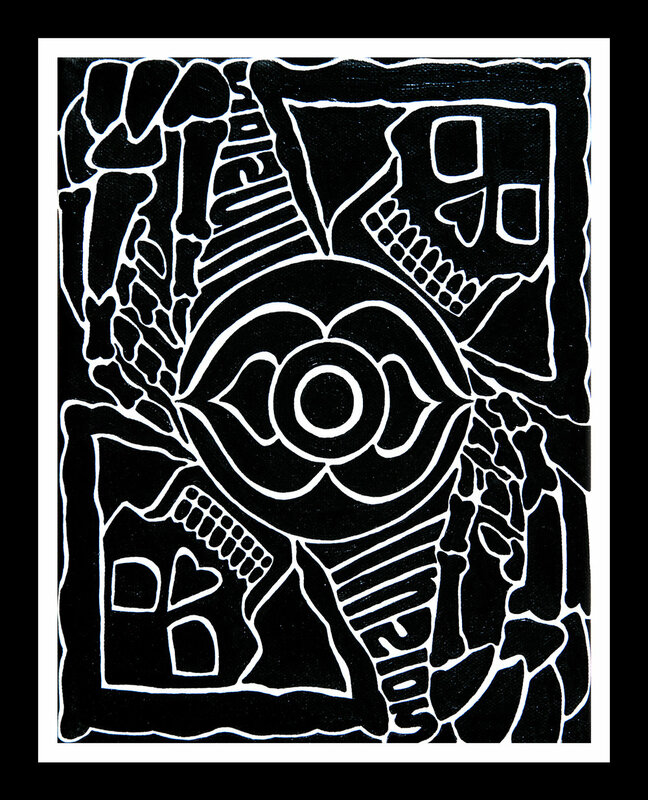 Death is used within these cards because it takes a willingness to transform, opening one’s eyes to the dark, to acknowledge the light that is held within. Death is a messenger of change, initiation, and transformation. He comes to those ready to change and willing to do the work to get there. Having Death show up within your layout means that if change and recognition is made concerning the current block, growth is sure to follow. If the block or stagnancy is not acknowledge it could mean a long road ahead of unwanted experiences that bring to light all that you are unwilling to release. 14 HYPO & HYPER Chakra Cards: These cards will be noticeable by their similar characters. 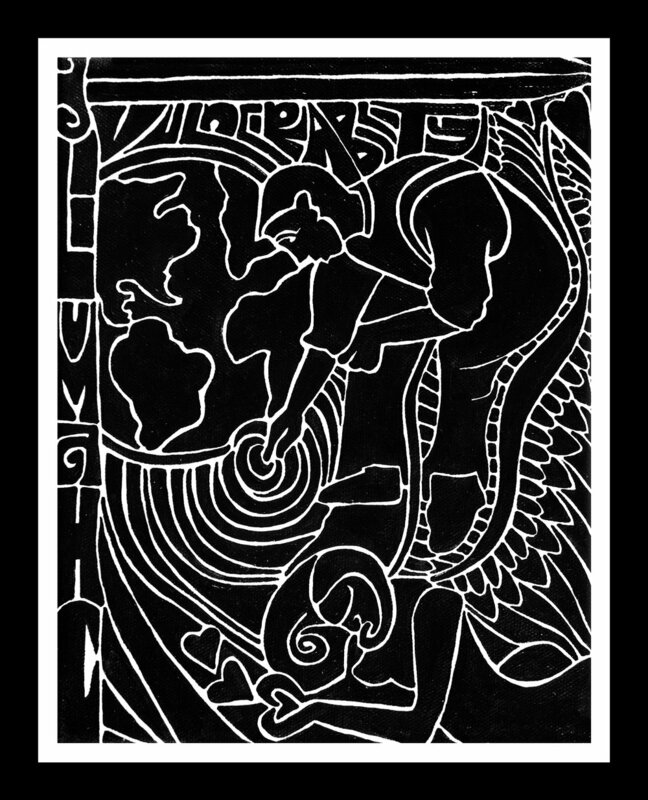 There are two figures standing back-to-back one in a YIN position and one in a YANG position. The Yin and Yang quality of this card is all inclusive so it will never be right side up or upside down it represents both aspects equally. 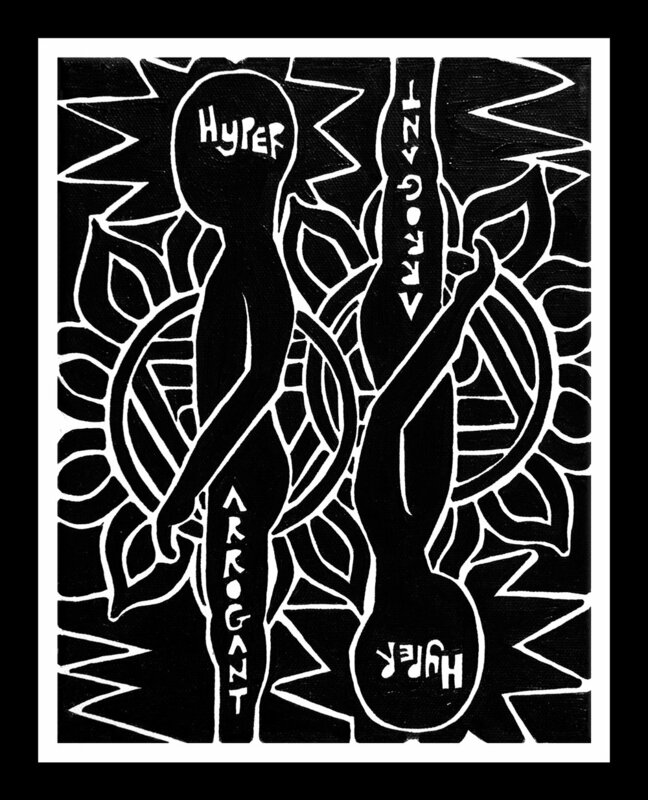 The 7 Hyper cards each represent a different chakra. They will show up in a reading when a chakra is in excess within the person being read. When it shows up in a layout it indicates that a person is out of balance energetically and may be overexerting themselves within this energy center. 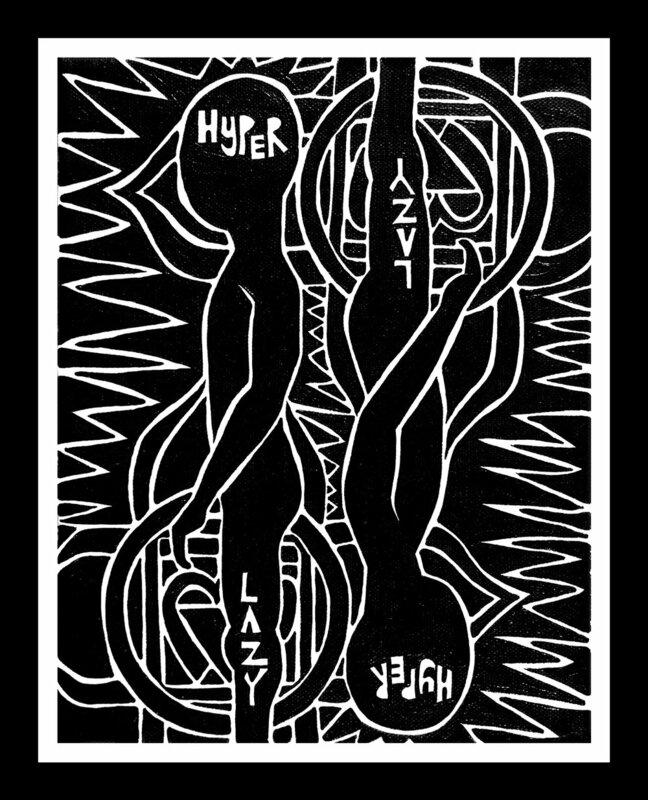 Hyper cards were drawn with very dramatic points extending outward from the two bodies on these cards. These points symbolize the excessive amounts of energy exuding from this chakra center. A person with a Hyper chakra will inevitably impose the energy of this charka center on anyone with in their auric field. Having energy this strong in a singular chakra makes the other chakras work harder, or become more lethargic depending on how the rest of the bodies energy is flowing. It is important to find out where this excess is coming from, and begin to bring the energy more into alignment with the rest of the chakra column. layout it indicates that a person is out of balance energetically and may be lacking or suppressing some aspect of this energy center. 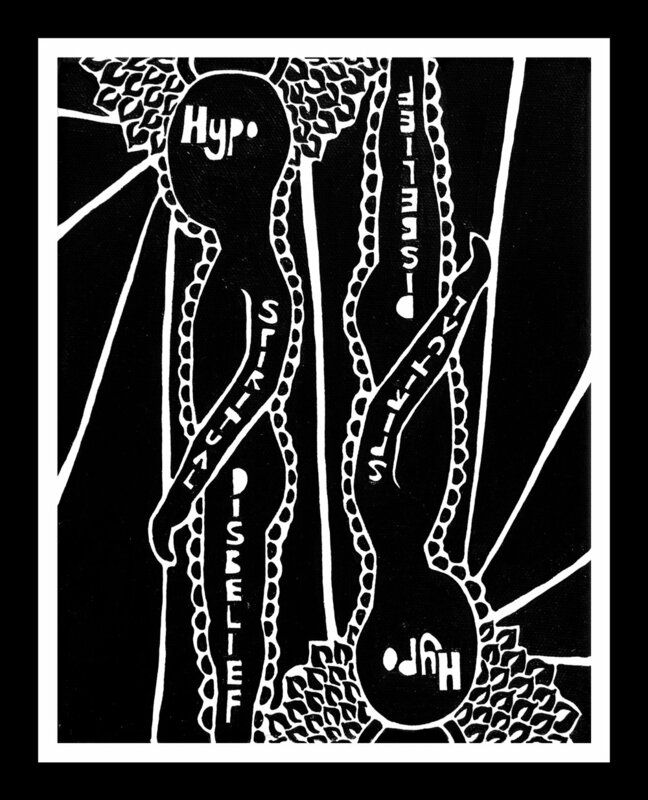 Hypo cards are drawn with small bubbles around the body symbolizing the inability to hold a vibrant charge of energy. A person with a Hypo chakra will inevitably loose essential support and energy from this Hypo chakra center and may close off to this energy completely or go seeking in others the energy they are unable to cultivate. Having vitality this low in a singular chakra makes the other chakras work harder or become more lethargic depending on how the rest of the body’s energy is flowing. It is important to find out where this deficiency is coming from and begin to bring the energy more into alignment with the rest of the chakra column. 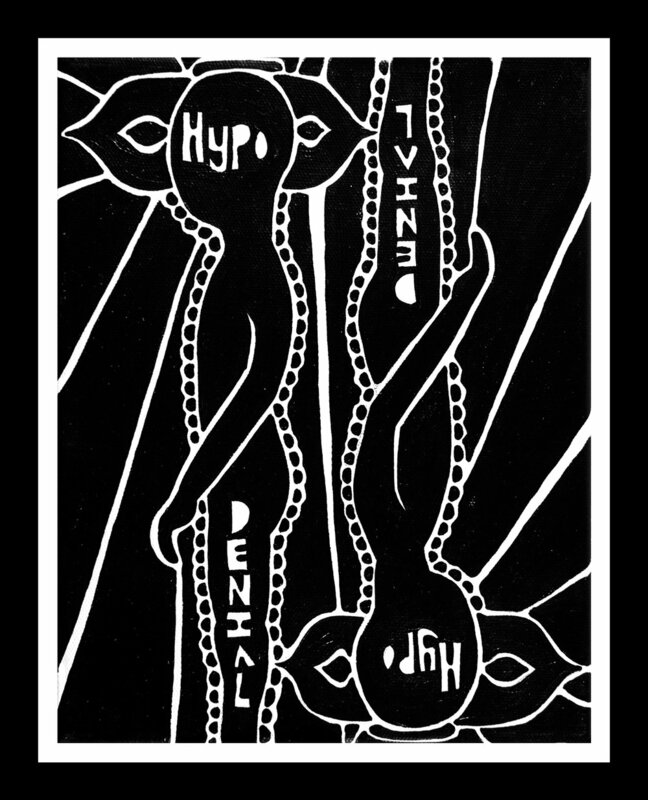 READING HYPO & HYPER CARDS: Depending on the question asked, and the mental state of the questioner, you may need to look into one, or all three, levels of existence (physical, emotional, mental and spiritual) to get a clear understanding of where the questioner is within the Hyper, Hypo, and Shadow cards. 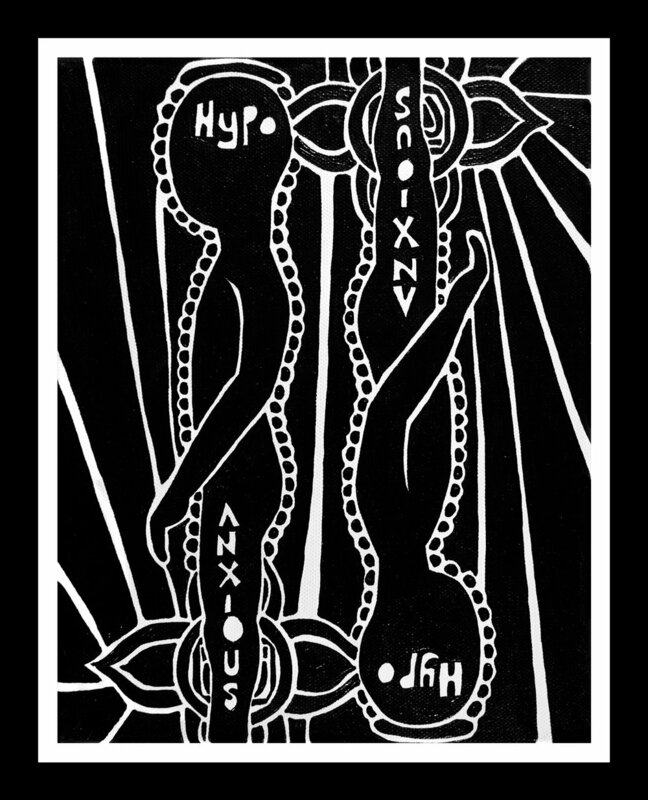 If a Hypo, Hyper or Shadow cards shows itself in any of the layout positions below, it may be helpful to use the main trait (title) as a starting point while looking deeper into the chakra it represents. Because these cards hold no yin, or yang position it allows the questioner to perform additional self-analysis uncovering where blocks may be. 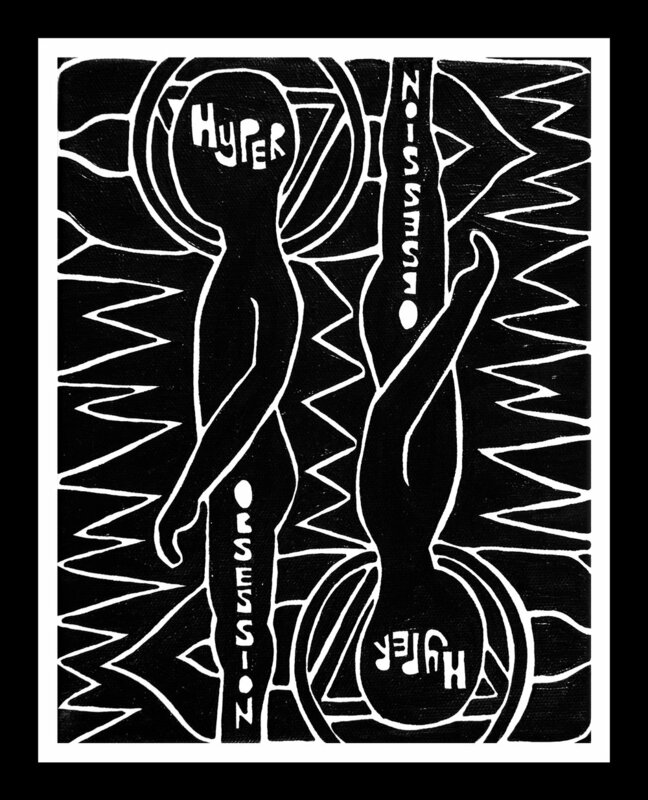 The Hypo, Hyper, and Shadow cards are sometimes difficult for a questioner to acknowledge about themselves as people tend to create stories, or excuses surrounding why we are the way we are.